Day 12!!!!!! I can’t believe we made it!!!! I am SO excited about today’s giveaway! There’s nothing better than a vacation or little getaway with a loved one… so today I’m teaming up with Montage Deer Valley in Park City (one of my family’s FAVORITE getaway spots!!!!!) to give away a 2-night stay at Montage Deer Valley with two 60 minutes massage or facials to ONE lucky Ivory Lane reader!!!! One entry per person. Open only to legal residents of the United States who are at least 18 years old (must be 16 or older to enjoy spa facilities). Giveaway will close TONIGHT at 11:59 PM MST and the winner will be selected at random and announced in tomorrow’s blog post. Winner will be connected with a Montage Deer Valley representative to organize the 2-night stay and two 60 minutes massages or facials. Giveaway does not include travel to Utah if winner lives out of state. Standard blackout dates include: December 18, 2017-January 2, 2018, January 18-28, 2018, February 15-19, 2018, March 5-23, 2018 and April 8-30, 2018. If you do not wish to share your information, do not enter this giveaway. CONGRATULATIONS!!!! I will email and DM you to get you your bag!!! I can’t thank you all enough for following along and entering my giveaways every day! I really wish you could all win something!! But your support and engagement mean the world! I hope you all have a lovely holiday season and be sure to check the blog tomorrow to see if you won the Deer Valley Giveaway! Id love to win a getaway at deer Valley. id probaBly give it tO my parents, who do so much fOr my brothers and i aNd our families, but dOnt do alot for themselves. They deserve something nice! I kove deer valley and skiing so thats what i owuld plan to do if i won! The montaGe deer valley looks amazing! If i won, I would Try and go snowboarding (it’s been years) and then just relax and enjoy my stay. Fantastic time for you. I need relax and ralax and masage. Montage deer valley is absolutely beauiful and wouls be a wonderful way to celebrate our anniversary of 23 years of marriage! Oh this would be amazing! It has been a dream of mine to go on a vacation up there! what a wonderful giveaway!! Thank you so much for doing such a fun 12 days of giveaways it has been fun to follow along and enter! I am hoping I got a shot on this one!! Growing up in the south, I’ve never been on a winter vacation that didn’t involve the beach! I’d love to experience this with my little family! I would love to relax and take in the beautiful scenery! I would love to go to montage, have always wanted to go! WOuld definitely ski!!! We are headed to park city in Feb and always wanted to ski deer valley and of course try out the legendary Montage! Would love some spa time after working hard on the slopes! This place looks amazing! I would use this trip as a babymoon before my 2nd child arrives. Thanks! if i were to win this giveaway, i would plan to use my time enjoying the BEAUTIFUL snow and scenery! the downtown area loooks stunning, it would be so nice to just relax and enjoy my stay! This is an awesome giveaway! I want this giveaway because my husband and i are almost done with school and it would be So fun to get away and go skiing and maybe shop around Park CIty! This place looks like a dream! nothing better than a cozy, luxury hotel to unwind and recharge in the new year! I think I might live in the spa for 2 days if I win this! This place looks amazing! I would love to ski deer valley! I would definitely go skiing (for the first time)… I’d also probably need that massage afterward. Unfortunately I don’t live in the vicinity and probably wouldn’t get there due to other trips – but I just wanted to say that these photos are beautiful and this is an amazing giveaway! 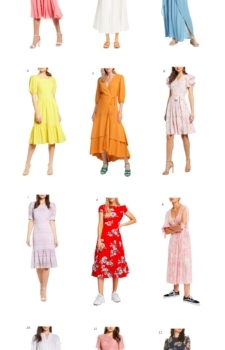 http://trendkeeper.me .. NEW ARRIVALS AND 20% off! I would love to win this for my husband and I. we would go and celebrate our 28th anniversary. for a babymoon!! need it before this sweet little girl comes in march! I would love to win this giveaway so i could take my husband to the montage to celebrate our one year anniversary this weekend! I would love to win this giveaway because i am originally from fl, and therefore, have never gotten to experience all that snow has to offer! I am a big beauty junkie so i would love a facial. plus, i want to try skiing for the first time! This wouLd be so amazing. If i am lucky enough to win, i would Surprise my husband With a getaway in beautiful Park City as a Celebration of the Past year – we moved to utah a little over 6 months agO, so this past year has been full of changes! WhIle there, we would be snow bunnies! Likely snowboard one day abd relax and enjoy the beautiFul resort the Other day. We would walk up and down adorable main street and Sip hot cocoa ann bundleD up! Thank you ao much for the opportunity to do this! I would do everything i had time to do! but i love to ski, and haven’t been in probably 9 years, so i would be most excited about that! WHAT AN AMAZING GIVEAWAY!!! I would take my sister for a girls weekend!!! @tweetyscute I would love a trip to enjoy the winter weather to enjoy skiing and tubing. WinnIng this give away would be a dream come true! My husband and I abso love it up in that area. We would take it easy and have a much needed weekend of R&R before we have our second baby in a couPle of months. I’m visiting utah for christmas from florida and would love a winter getaway with my husbAnd! I’ve always DREAMED of going to Utah! I would absolutely love to stay at the Montage and enjoy all they have to offer! Oh my goodness! I Love the Montage. We spend my husbands birthday at the montage every year and this would be Perfect timing! This would be perfect for a mini getaway. DefiNetly would go skiing with my hubby. I would love to get away with my family!!! just spending quality time with a loved one and taking in the beau scenery. My husband and i recently moved away from Slc, ut To boston and we miss the mountains! Our relationship grew on the ski slopes and We have always dreamed about staying at the montage in dv for a special occaSion! This resort looks so fabUlous! Is has been a rough Holiday season for me and i would love to have a quick getAway and take in all of the sigHts and maybe ski a Bit! I would relax with my hubby and go sledding! That was one of our very first dates together! Hi! I’d love to win this giveaway! It is my Dream to go to utah and stay at the montage deer valley. we dOn’t get mUch snow over here in texas and i think it would be simply magical to stay there. I would love to play WiTh my kids in the snow and drink hot chocolate by the fireplace. Dreamy! I would love to win this fOr My husband, daughter and soon to be baby on the way. We love the montage hotel, we have frequented the one in laguna Beach and it would be a dream to play in the snow with my DaUgher, get pampered at the spa while my husband snowbOarded and skiied. Make amazing family memories. I would love to win this fOr My husband, daughter and soon to be baby on the way. 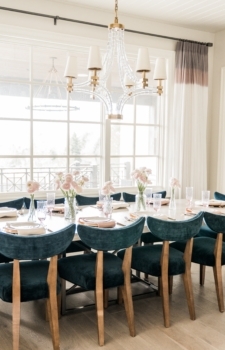 We love the montage hotel, we have frequented the one in laguna Beach and it would be a dream to play in the snow with my DaUghter, get pampered at the spa while my husband snowbOarded and skiied. Make amazing family memories. Would love this giveaway because ive never stayed in deervalley and have aLways wanted to. What i would do iS sit by the fire and roAst smores and enjoy the beAuTy around me. I woulD Enjoy every blissful momEnt with my babies!! Building Christmas and winter mEmories are nostalgic and so important to me! Hot cocoa and cuddles!! We are planning a trip to Utah to take our kids skiing so this would be such a fun surprise!! If I won this give away i would send my parents on a little vacation. this year has been pretty crazy for them, they watched their oldest girl graduate college, became grandparents, and sent their two daughters off to nepal to do who knows what. my mom has been a rockstar in keeping her cool even when all her children (including her husband) seem to be causing complete chaos in the family, and my dad recently started a new company and is always traveling so i know they could really use some time together. Id love to win this getaway to montage deer valley because it would allow my husband and i an excuse for Some quality time (alOne) with one another. Also, ive been wanting to visit Utah for awhile now. Skiing is my absolute favorite thing to do with my famiLy! We have skiied in Chilie & colorAdo but i have always wanted to try some utah skiing! I can so use a vacation! Even if it’s just for 2 nights! And the massage sounds so tempting. Hope to win! I’D love to win this getaway to the montage deer valley. It would make a great first family VacatIon with my husband and son. I would love to win it and take my husband on a getaway because He just graduated college this week and i’m so proud of him! We would do some shopping and maybe go skiing since we haven’t been in years. This package would be a dream! I would meet my mom for a reunion in Park City to stay at DeEr VallEy as it has been too long since we have Had a GEtaway! I haVe been trying to get through Dermatology reSiDency in SeatTLE so vacations are few and far between! Id love to win this give away and have my husband teach me how to snowboard! He loves to teach About things he knows! Im from seattle and when My husband was starioned there he constanty went up to the MOUNTAINS to Hang in the snow! due to the military stationing us in the south we Havent been able to play in the snow together! Id love to win this giveway just to getAway with my husband after months of remodeLing and no vacation. This would be perfect 🙂 all we want to do Is jUst finally get the chance to relAX and spend some time together. This giveaway woukd be incredible! My husband and i just moved out west to albuquerque from nyc anD still have so much more of thE west to explore. I’d take a few days to explore utah, see some national parks, ski, shop, and jusT relax in the hot tub. Best gIveaway ever!! I would relax, relax, relax! And eat. And then relax some more! I would love to win this trip With my faMily! We are a military family who would love the break! Hi Emily!!! Wow, what a great giveaway! Though im from texas, I grew up going to the mountains every summer and winter. A vacation like this at deer valley would be pErfectly REMINISCENT of my childhood vacations. A spa day would be amazing (and much Needed). But i also love to spend time in the outdoors. I would love to smowmobile in the winter or hike in the summer! I would love to win this because I’ve never had a trip away with my husband since Having kids! It would be so nice to have some alone time. We’d definitely relax & get Massages. I would love a little getaway in snowy wOnderland! My husband and I would love to get away together and it would be AN absolute dream to go there! It would be a wonderful getaway and mostly I would plan to do anything relaxing. It is so beautiful there! I could really Use a romantic get win my husband and tHis place looks magical! I would love to win this so that my husband and i can have a Little getaway for ourselves and relax. Its hard to getaway with little ones. I would love this giveaway so i can take my mom and have a much Needed rElAxing weekend. We would roast marshmallows and drink hot coco and have Girls talK, And of course have a wonderful massage. RelAx, the sPa, exercise!! All the best things! I would love to win this vacation!! We are in dire need of the break! …because my husband and i haven’t been on a vacation since our honeymoon…eek! We’ve never been to utah so we’d explore that area and just relax. I would love to win this because me and my husband are both In grad school and mever have Money or time to Take to ourselves. So if we won this, it would force us!! 😊 we would definitely Stroll around town and relax in the Hot tub and watch a lot of movies! Oh how i would love to go to the montage – never been and it looks so amazing! Would love a geTaway with my husband! I would love to win this give away because who couldnt use a vacation! I would forsure hit the slopes and soak in that mountain view. Living in south florida i sure Do miss the cold. I’d love to win because mama needs a vacay! I would love to go snowboarding for the first time and then relax with A nice massage and a glass of wine. Id love to win this! Most of the year we live out of the country and its hard to get a babysitter. My husband and i dont get to have alot of one-on-one time and this would be so pErfect, fun, and Relaxing now that we are finally back home for a few months! I love the sponsorships You choose. Deer valley is a beautiful plaCe! I would love to Go with my best friend aka my mom. We have not seen each other in almost a year and I know this would be the perfect rEunIon! I have driven past this hotel so many tImes and have always wanted to Stay! I would spend the day relAXing! My husband and i have been dying for a getaway! Weve never been to deer valley So this would be a fun new location for us! Would love to surprise my Husband with a little getaway! I would take him to get massages, take him to all the nice Restaurants, and take him Skiing! Hope you have a wonderful Christmas! In september my husband and i had our first baby boy. We are so blessed by our new lIttle famIly. We absolutely love park city and more so deer valley however, we’ve never been able to stay at the montage because its a bit beyond our means. If We won this gIveaway this would be the first Trip we’d Take our little man on, it would be his fIrst flight, fIrst hotel stay and first time experiEncing the magic of park city. What and exciting first trip it would be ❤️ Keep our fingers crossed. I would love to spend a few days here in deer valley skiing and playinG in the snow, and then going and then being able to go enjoy the spa and some fine dining alone with my husband. Trip of a lIfetime!! What a way to celebrate! I Would love to go snowshoeing with my hUsband in deEr valley. I’d love to get away with my husband one last tjme before baby is due Next year!! After being sick for ManY months and fInally feeling better, i would enjoy, relax and be grateful! i would definitely use the trip fOr skiing! I would love to have a getaway with just my husband. It wouLd be awesome to have some one on one time during this crazy busy family time. If i was to win this amazing trip i would gift it to my amaizng Parents who have given me nothing but the most support as i am 25yrs Old and just coming out of my 3rd brain SURGERY in a year an a half. They have been so selfless and this would be an amazing opportunity to give back to them and say thank you. I would love to suprise my husband with a fun getaway! This is a busy time of year for him with work so it would be nice for just the two of us to get away for a couple of days together. We didnt do much to celebrate our annive last month so this would be our celebration of 8 years! We would definitely take adavntage of the massages and do a little shopping while we’re there! Thank you! As a college student, i can DEfinitely appreCiate anyThing free. But UNFORTUNATELY My first semester in college was really rough. I would lOve to win this giveaway as a way to unwind and make up some lost time with my mom. While there, we wOuld eat a lot, relax, and enjoy the snow!! This is the most amazing giveaway ever!!! I want to Vaca here with my hubby so bad! Since its winter, no better place to ski!! I havent been skiing in utah yet, this is my dreaaamm!!! And will be perfect babymoon! I woulD love to win a trip to deer valley. I have never been to utah, but all yOur snaps in the snow looK so amazing. And the SkiIng and spa look So lovely. This Would be Such a nice wind down after out wedding this month. I’d love to win so my husband and i can have a relaxig vacation! We have a lot of Life chAnges happening in 2018 so it would be some nice reLaxing along time! I would love to win this for my parents! I know they would spenD well deserved time relaxing. What a wonderful time to getaway after all the hustle and bustle of the holidays. Dine, shop and play in the snow!!! I’D love to win this getaway with my husband. We both work so hard and would love to just getaway and spend some Time together alone after all the craziness of the holidays. I would love to win this because my kids have ne s sn. I would PLAY in the snow with them. I love this hotel!! This place is beautiful!! If we win this giveaway, my husbaNd and I would enjoy just a relaxing getaway to Spend some time together. We would definiteLy indulge in the massageS! Pick me! We we live in Boise and could drive there! We we have not had a vacation since before I was pregnant with our son and we could ski day away ! I would treat my husband to a weekend getaway if I won this! We have 2 super active toddlers (That WON’T sleep through the night! ), so we would go up without the babes to relax for a weekend! I would Die to win 2 nights away at such a magical place! My husband turns 30 this month and this would be the perfect celebration. We would ski, Roast smores, and hot tub! ThanK you for doing this amazing giveaway! How Fun! I just had a baby and it would be amazing to get away for a few days to enjoy my little family. I would get to visit a place i loVe and get to see my bff who moved out to park city 3.5 years ago! Itd be the ulimate girls trip!! My husband and i are expecting our third baby and just Reached our ten year anniversary!! We’ve been super tight With our money trying to Save enough tO help when i quit and be a stay at home mom (after 9 years of working nights!) i would love to go and cElebrate with my husband up at the montage! Such a fun idea for a giveAway! Oh my goodness!!!! As a graduate school student this would allow me to give my husband and son A vacation they truly deserve after years of supporting me! The massages and time in the snow would do so much to bring Us together as a family! Nursing school later in life! I would love to win this! I am currently pregnant with my 3rd baby and this would be the perfect baby moon. Park city is just beauitful. We would love to Have a spa day and also enjoy a nice dinner in park city! I would love to see snow and get some relaxation time with my Family! And Play with n the snoW!! My DAUGHTER has been wanting to stay at the montage. She would be thrilled if we Won! I would love to win because it would be a great excUse for vacation with my HUSBAND! WE would rest (much needeD bc We have a two year old boy who keeps us busy), ski and eat really well. Oh man This would make my Day (week…month…) to win this! Some R&R for me and my husband is what we need right now. Between nursomg school and workig nights for me, and my husband who works long hours abd travels a lot for work, and kids, church etc, i feel like me never are WIth each other. This would Be the pErfect excuse to grt away for a weekend snd reconNect! I would love to be able to give this to my parents for christmas!they work so hard and dEserve a little alone time. They absolutelY love massages! my boyfriend and I have been looking for a fun place to ski next spring, and this looks like the perfect place! We both work many hours during the week and love to enjoy little getaways on the weekends. 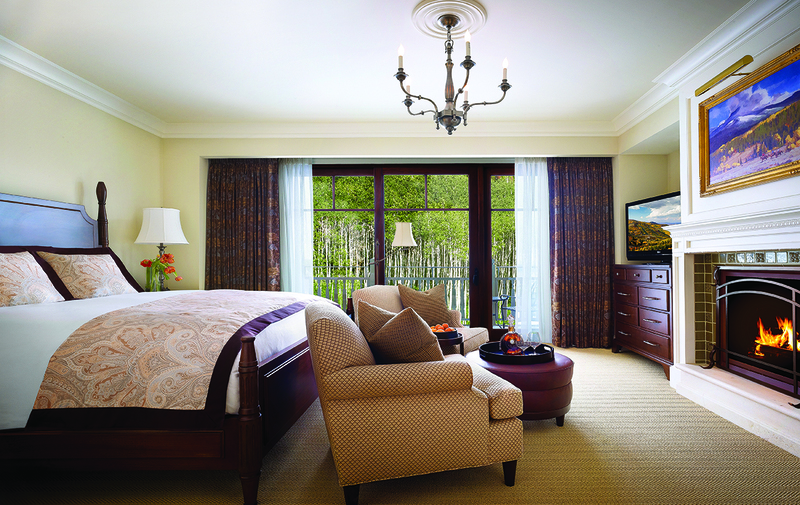 We would love to stay at Deer Valley Montage! I’d plan a getaway witb my husband! I would love this so much! My husband and i have a had very low key anniVersarieS/birthdays and this would be aBsolutely amazing to wIn! If i won, i would Spend my time relaxing, shopping, and of cOurse going skiing! We (my husband and i) would love to take this trip as our last ski trip before becoming a family of three through adoption in 2018! We Have never skied in Park city before but ive heard its amazing!!! These photos are beautiful. I would Love to win this giveaway. We are getting ready for ivf number two in february. We got our first son after 40 embrYos. We are praying this time it doesnt take us that long. I wiuld Love to surprise my husband with this getaway. Please enter me into the drawing for the montage deEr valley sweepstakes. This would be a drEam to win! My husband and i Love park city but have never been able to stay at a hotel there before. We both work full time and my husband is in school full time Meaning we dont get a lot of time off, so this would be an amazing getaway for us! My husband loves snowboarding so we would go hit the slopes and having Montage to go back and relax at would be amazing! Thank you for providing an amazing giveaway!! Would use this as a babymoon with my husband. Would definitely enjoy the spa! I JUST GOT ENGAGED SO THIS WOULD BE AN AMAZING GIFT TO GET AWAY AND REALLY RELAX WHILE WE CELEBRATE OUR ENGAGEMENT. IT WOULD TRULY BE AN AMAZING OPPORTUNITY. Hi! My name is Erika! what i would do with this stay is honestly jUst relax and eNjoy Some quiet time. I would love to get a facial im prEgnant and i’ve had some difficulties with this pregnancy That has really been hard for me so it would really be nice to just Get away and have some clearing time for myself. What a awesome gIveaway! I’d love to surprise my husband with this getaway! We would plan our days snowboarding and ending with a nice dinner! This would be such a fun trip for our anniversary in february! I would love to take mY sister and have a girls weekend. We never get to see eachother since ive gotten married so it would be so fun. If i were At Montage Deer Valley, i would enjoy a hot Chocolate and stare at the the ViEw. Had ouR first baby thiS year and my husband and i dont get our much anymore. It would be amazing to get away with him for some alone time. He loves snowboarding so we woUld Probably hit the slopes snice he hasnt gone in over two years. And juat realx at the resort. I would love to win this giveaway because it looks like an amazing place to relax and also enjoy the snow. I would be over the moon excited to win this. December has been so hard for fOr the last three years. Our baby who turned two on the 4th has had chrOnic medical issues landing us in the nicu, picu and cuRrently the CICu (he had open hEart surgery last week). Its crazy to think that we always end up at primary’s over december. Thanks for doing this giveaway we would love to win! If i were lucky enough, i would take my mom who has PROVIDED shelter for a less fortunate expecting young mother with a 15 month old whIle battling cancer. She deserves time to relax and have fun. Would love to spend some QUALITY time with my little fam! My family and i would enjoy this trip So much. We have been wanting to go skIng for years now. It would be a Gift for my son who Struggles so much to do well in School. I would love to win this giveaway because i’ve never been out west before. I would have to do my research on activities but definitely snowboarding and drinking lots of hot chocolate by the fire. Ohhhh, pick me please! I’ve never been to utah and would love to escape my crazy full-time job and kiddos for a lovely weekend of peace with my hubs 🙂 Merry christmas! I would love to win this giveAway and suprise my husband for his birthday this month. He loved park city and it would be So fun to go back almost exactly a year later where he First told me he loved me. Thanks for the gIveaway! I would love to win so i can take my husband to celebrate his 40th Birthday in January!!! Woohoo!!! Thanks again!! I would LoVe to go on this trip with my boyfriend. We both are graduatIng college next week and it would be a great getaway before work hits! Me, mE, me! This Mommy needs a break! Massage, yummy food, And a hot tub sound amazIng! Ive honestly been looking Into the massages at the montage because they look amazing but theres no way i could afford it! I Would take My best friend for the weekend On a little get away And do all the winter events park city had to offer! Would love to be PickEd! this sounds amazing! Just kicking back and relaxing and browsing at tHe shops for a few days soundS so nice. I would probably give it to my parents for christmas Though, because they deserve a nice getaway! I forgot to put my insta handle and it won’t let me edit my comment. So sorry! It’s @baibaidavis. Thanks for the chance! Oh my gosh, i have been dying to stay at the montage in deer valley for so long! It would be the perfect little baby Moon for my husband and I that i could actually drive To! A massage sounds heavenly, and i would love to go and enjoy the amenities at the hotel. What an amazing giveaway! Thank you! I would love love love to win this giveaway! My honey and i could so use a getawaY for the two of us right now with ouR crazy and hectic schedules. Doing nothing but relaxing and having fun in the snow is what i would do 🙂 i Would love to go ice skating, tubing, and then hot tubbing after im frozen! My husbad and i could really use a little getaway! Being a new mom this year has been wonderful and i love it but i never get anytime to myslef or alone with my husband mUch. We both have been busy with work and we put all our extra money on things for our son. This would be such an amazing giveaway to win and i honestly i could use the stress Relief with the massage too. I hope i win to have some quality time with my husband and to be able to feel Special and enjoy a little “me” time. I would loVe to go on a little vacation with my husband for a coUpLe days before our baby is born! This is a dream come true! I would do absolutlY nothing but lay around, Go to the spa and go out to eat. My 10 month Old is so demanding of me, that just getting away and not being on mom duty for a day sounds heavenly. I would love to win this! I’m having my first baby in february and would love a getaway with my husband before the baby comes! Ive never been to utah before and would love to see everything! Montage hotels are amazing, would love to relax there with my man! Soak up the BEAUTIFUL views and spend time in the spa! I would enjoy a nice trip with my husband. We just had our second baby girl and would love a special trip for the two of us! My hUsband and i just had our first Baby this fall. WE live in california. We have nevrr been to utah and Would lovE to Take Our daughter here to see snow for the first time this winter! I would love to win this 2 nighy stay, it would be so nice to relax and unwind after finally graduating from college! Oops i forgot my insagram handle in my prev comment @alexandriajar — i would love to wIn this for some much needed quality time with my husband. Id love a getaway for my husband and i! We havent had time together in ages, due to our sweet baby. Skiing and massages= best ever. I would love to win this tRip because i’ve never been out west before and I hear its absolutely beautiful. I would have to do my research on avtivities but definitely snowboarding and drinking lots of hot chocolate by the fire. I would love to win tgis giveaway because i have never been to utah, and it would be the perfect opportunity to take a loved one who haS never been skiing and spend some much needed quality time in one of the prettiest places. Oh my goodness ive never wanted a giveaway so Much! Ha my hUsband and I are EXPECTING our first baby in April and Could really use this get away! My husBand loves To ski and I would probably relax and enjoy the veiws! LOVE UTAH! LOOKS AMAZING AT MONTAGE DEER VALLEY. MY BOYFRIEND RECENTLY TRAVELED TO SLC FOR THE FIRST TIME AND SAYS HE’D LOVE TO GO BACK AND EXPERIENCE MORE OF UTAH! WE LOVE SKIING AND SNOWBOARDING. I’d love to win this Giveaway to Take my husband on a little trip. He’s been dying to go back to utah and see the snow. Would LOVE to stay here!!! In desperate need of a family get awaY and this would be so awesome for my sweet family of 4! i would love to visit utah and experience the infamous Montage deer valley! I would love to win this giveaway for my boyfriend and I! Ive always wanted to go there ever since you or Rachel posted about it! Its absolutely beauitful and a once in a lifetime trip! Ive Never been to Deer valley and it would be an absolute dream! Theres nothing more id enjoy this holiday season, than to spend time with a loved one at the deEr valley montage! I would bring my husband for our 11 year anniversary. We would loVe to stay in Deer valley, have massages, go snow tubing, ice skaTing, and go to a lovely dinner. Would love the massage and time to Enjoy hot cocoa by the fireplace and sledding. I’d love to Have a litt geTaWay with my husband and little girls. Some fun Quality family time! My Husband is an electrician who works out in the cold all day and always Has back pain from his work! I would love to surpr him with a weekend away and a massage! i would love to be a winner. I am 8 months pregnant and very much looking forward to a snow filled babymoon getaway! Hi Emily! 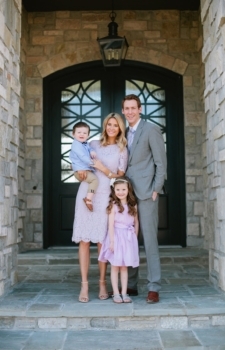 I just love your blog and All of the beautiful memories you and your family have made at montage! I would love to have a fun get away to a snowy destiNation and escape the warmer temps of the south! We went to Deer Valley for our hOneymoon almost 5 Years ago and would love to go back to celebrate our 5th anniversry (and stay at the Montage!)! This trip sounds aMazing! My husband and I have Always wanted to travel to uTah. My husband just got out of the service, we have 2 kids under 2 and would loVe/need a weekend Away tOGether. Thanks emily! This would be perfect for our lil family because we have never been here. We Love adventures and would enjoy snow tubing, alpine roller coaster and zipline. We also like going on bike rides and of course—tHe spa! Hi Emily! I think if we wouldnt use this during the winter we could save it to use after our wedding day since we probably Cant afford a honeymoon! The massage and facials would be a dream!!!! I would love to wIn this and give it to my Parents for their 27th wedding anniversary, where they could enjoy those great massages!! I’m entering it to win it for my baby sis! She has been dealt a very sick 14mo old and she and her hubby sure could use a relaxing get away! I WOULD LOVE THE OPPORTUNITY TO VISIT UTAH FOR THE FIRST TIME AT SUCH A BEAUTIFUL RESORT. WE JUST HAD A BABY AND HAVE BEEN LOOKING FOR SOMEWHERE TO TAKE OUR FIRST FAMILY VACATION. I WOULD USE IT TO SPEND TIME WITH MY HUSBAND AND BABY BOY AND JUST RELAX! I would love to win this trip to the montage because ive never been, and i would love to sUrprise mY boyfrieNd with a magical snow tRiP beCause that is favorite and we have never been on a trip as Just the 2 of us in our 5 Years of dating. We would enjoy the spa, go sledding, enjoy the scenery and just overall explore the beauty that deEr Valley has to offer. Thank you! I grew up skiing at Deer Valley, long before the montage! I would love to take my parents back there as a thank you for all of the years we spent christmas in the mountains. I miss Park city and there is truly not a more festive place! I would take my mom whO has had such rough year but is a trooper and great example of a mother. I would LOVE to win this getaway! I would bring my family of 4 to relax anD have fun! my kids (ages 3 and 5) Have been asking to take skiing lessons and go sledding. Living in souThern Ca we dont geT to see the snow very often and the kids would be in heaven! @bnseeth, As a single mom, i would love to win this getaway!! i would bring a mommy friend of mine who also deserves a little vacay! Your little family is so so cute. I can’t wait to see the two new additions. I would love to win this trip – I’ve never been to the western part of the U.S. and this would be the perfect opportunity to explore. Snowboarding and drinking lots of hot chocolate by the fire are absolute musts! This would be a PErfect getAway with my husband who haS been so busy this season. What a treat it would be to just relax and Enoy The hotel with him. I would love this giveaway with my love. This would be amazing!!! I would love love love to win this giveaway! My husband is the manager at a new restaurant and works 12-14 hour Days. To say we’ve barely Gotten to see each other is an understatement. We have to little boYs and my teenage brother lives with us so By the time he gets home, im Physically and mentally exhausted. Id love to be able to sPend some alone time with him to reconnect. Believe it or not, we havent taken a trip alone since Our honeymoon 4 years ago! Again, id love to win this! Thanks for the opportunity! Id love to win a trip to deer valley! My husband and i love To ski and would Be happy to go to some colDer weather for a bit! This looks so fun! We would love. Staycation at the montage. Ive been to weddings at the hotel, but it would be so magical to sPend 2 nights there! 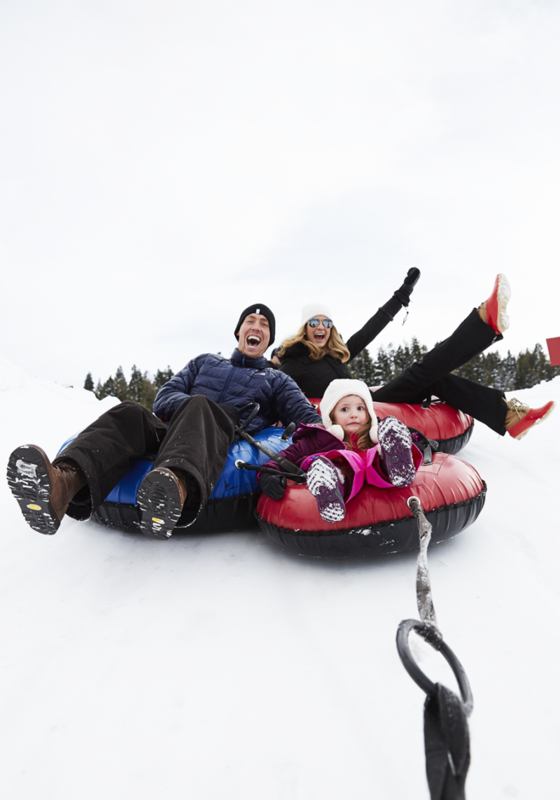 Our kids would love to go tubing and enjoy the mountaiNs! We wouldnt even have to leave, the food there is so delish! Fingers are crossed! I would love love this giveaway because my husband and i have had a vacation on our own since getting married 4 years ago! Thank you so much for such an awesome opportunity! I would try snowboarding for the first time! Ive never been but have always wanted to try! This woUld be such a perfect trip to do so! WInning this getaway would Be great because it would be a perfect mini vacay to kick off the new year! Along with Enjoying everything montage has to offer, i would be able to Visit family that live in the area that i dont get to see often. I would love this vacation as i haven’t been to the mountains in years!! I would love to win this GiveAway! I would take my Husand with Me and relax and if theRe is snow go snow BoardinG we havent been aWay alone in a long time. Hes been working 2 jobs sometimes 3. and weve been very busy with our 4 kids. So this would be so amazing to win! I would hope to win this giveaway to give myself a break from treatment (that i am so Gratful for) and i Have been Receiving the last 8 months. I am finally able to travel and would love to visit deer valley, as ive never been! I would hope to go duRing the snowy seasons and do all of the fun winter activities we dont get to do here in phoenix! @lizbayy At the montage i would just relaX. Being a student My finals have drained me. You could definitley find me in the spa after a few Runs on the sLopes of course! I have fallen in love with Utah through picture That you and your sister post! I have been wanting to go so so bad, and this would just Be such an incredible expErience! I mEan, first of all, who wouldn’T love to stay at the Montage! My husBand and I aTtended our Cousin’s wedding there and it was magical, to say the least. My husband and i would absolutely love to have a weekend gEtAway from our five jobs combined!! Married life is fun but b-U-S-Y, and we dont even have kids yet! This is an amazing opporunity. I’ve never been to the mountains before, and this looks so awesome! i would love to spend time with my family and have loads of fun!!! The montage Is our favorite! My 6 Year old would choose the monTage Deer valley over disneyland any day! this is such an awesome Giveaway! I would love to win And take my mom with me! I am leaving on an lds mission in march and it would be so Perfect to spend some quality time with Her beFore i go!! <3 and no better Place thAn at the montage At deEr valley! Oh man winning a 2night stay would be everything. The hubby and i dont have family here in utah so getting out To go on a simple date is hard. If we Won a 2 night stay we would have the chance to spend some quality time together. Thank tou for the chance to win! oh my GoOdness, swim and ski and skate and Relax! I would fall over if i won this giveaway. What a dream!!!!! Montage deer valley is so beautiful and im dying to stay there. Pick me pick me! On DECEMBER 22nd, it is our 10 year anniversary. We had a trip to vista Rica planned but it will be reported to later next year hopefully because it just couldn’t happen right now for multiple reasons. My husband is beating himself about it. He thinks our 10th should be grand!Not that I disagree but life happens. we haven’t made any other plans because schedules are rough and this would be a wonderful gift to celebrate 10 years together and discover a new place here in Utah together. a short getaway would simply be perfect and an awesome surprise for the love of my life . Would love to have a babymoon with the husband at montage as he Has been asking to go to utah for some time now – weve never been! My husband and i love to ski! We would use tHis as The perfect opportunity to ski utah this winter! My husband and i have 6 kids and we need to win this to get a break together and relax after christmas! We would love to just sit and enjoy some peace and quiet by the fireplace and enjoy some good food! I have always wanted to stay at the montage Deer Valley! I would love to vacation in Park City in the winter and ski! I would love to win this giveaway! Its my birthday week also and i have never been to deer valley! Im not sure what i would do there but im sure i would enjoy just being there with my hUsband! This would be a fabulous Gift! Ahh, my husband has never been out west so we would cherish the chance to be a part of this dreamy vacation! Fingers are crosSed! Merry Christmas! I would love to win this trip for my boyfriend and I! I have always said I wanted to visit beautiful Utah and this would be the perfect opportunity! My BF works so hard so this would be a great “I appreciate you” trip! i Would love to take a little time away with the hubby! Massages, a nice dinner, And just relaxing would be heaven! I would use yhis getaway to celebrAte with my amazing husband! We were going to go on a cruise in 2018 to celebrate 10 years together and then i lost my Job. I’d love to win this so we could sTill have an incredible getaway! We are newley weds and have no money this would be awesome!!!! We are from Texas and don’t know anything about what it is to experience true snow!what a wonderful experience it would be for my boys to see snow and “live” in it for 2 days! Oh how id love to win this dreamy vacay for my hubby and i! We wouLd simply relax and enjoy eachothers company. Xox. Id love to win this deer valley giveaway! id take my sister and i up there to take a break from filming all of the weddings we have had lately. Its been the craziest few months with our videography company, kfilms video, that we would love to have a nice little getaway!!!! Me and my fiance both ski and would love to go skiing for our honEyMoon or As newlyweds! We would ski in the day, Enjoy Our nights by going to a nice dinner and shopping! We would abSolutely love this giveaway! It would be the best weddig gift we could ask for! would love to celebrate baby’s first birthday here! Also, the skiing! Oh my gosh, i am beyond excited for this giveaway!!! I worked for montage for years in laguna and beverly hills so this would be an extra special treat to win. I would live to win this so my boyfriend and i can finally take a much needed vacation! He is in the hotel industry and has been working 70 plus hours a week for the past few months with no Break. I am pretty sure we would aoend the entire trip at the spa or enjoying a warm fireplace! Fingers are crossed over here! I would love to win the deer valley getaway for me and my husband because we just went through our second ivf cycle and found out last weekend that it was not successful. it would be nice to getaway to one of our favorite places to relax in the mountains and spend some quality time together! I love deer valley and have always wanted to stay at the montage! Such a beatiful setting. I would ski aNd enjoy the fabulous amenities. I woyld live to win a getaway at deer valley for my family to have some time all together. My husband has been working in seattle for the past 6 months and has only been able to return twice for a visit. It would be such a wonderful time to reconnect and enjoy just Being together and having some good ‘ol family time! Wow! Would ski in Utah for the fiRst time! I would love to win this giveaway!!! For christmas i want to surprise my husand with a ski trip to utah! I have never been before and i kNow we would both love It!! I would love to win this give away because i would taKe my husband And we would Go skiing together for the first time ever in the almost 6 years we’ve been together! Would Try to see and experience all i could! It would be our first getaway post baby! We’d enjoy good food and just relax and be paMpered! I would love to win thIs giveaway because i would take my husband and we would go skiing togeTher for the first time ever in the almost 6 years we have been together! I love deer valley! do not often get the chance to go because its so pricey but i would go skiing and enJoy a nice apres ski with my boYfriend who has never been to deer valley. Its so beautiful, i’m crossing my Fingers. I would absolutely love to take My mom up To deer valley. She does so much for my fAmily, and deseRves a little getaway! This would just be perfect. I would LOVE to go because my husband and i celebrate our one year anniversary in a week and it would be the best surprise and gift to take him here!! We are both students and both work, so this would be the Perfect break and funnest experience! Oh my Emily!!! I would love love this giveaway. Deer Valley is a special place for my husband and I. We Have four very busY children and Are always quite occupied with their lives. As a mother, that is exactly what i love!! However, reCently, i feel like we have been at the Dr’s offices as much as their GaMes. It has been a rough few months, and a couple nights with my husband would be heavenly. I am Pregnant with my first little one and my husband and i Would be so excited to have a little get away before he comes! @PaigeTheRock!! I forgot to leave my IG handle, but i really wish i could win this. I realLy could use a nice Getaway and massage. My hUbby and i have not had any alone time together sInce we had our little babe, and it would be amazing to be able to be togEther and spend some romantic and fun time together because its been so long!! We would do everything there is to do tHere- take full advantage of tHe little getaway and live it up to the Fullest!! Ah it would be amazing! Thank you!! Emily, such gorgeous photos! I am dying laughing over little Capri’s face! Such an awesome photo! You DEFINITELY saved the best giveaway for last 🙂 I am excited and would love to win this giveaway for a girl’s trip! How amazing that would be to take my best friend and just relax and have some girl time. Life gets so busy with both of us having toddlers. the massage and quite time would be a total plus! Would love a getaway that i can enjoy with my husband. #1 Relax, #2 depending on the weather, but we love hiking in the summer time and boarding during the winter. We’d totally take our RV out and make a road trip out of it. i would love to take my hubby away for two nights without kids! Ive always wanted to go to utah, and this is the perfect getaway! I would love to win thE the getAway to deer valley. It would be the perfect gift for mY husband and i. We have heard many great things about the Montage anD have always wanted to visit. I think we would plan to dine at the Apex, play games at Daly’s, ski, and book a relaxing spa day. Thanks again!!! I would love this! We dont get a lot of family time. I️ would love To be able to just get a little get away with my family to play, relax and spend time together. I would love to win this trip because my husband and i have been talking about planning a trip to take our 3 year old to the snow for the first TIme. We are lucky to live in so.cal but on the flip side we neverrrr experience snow so it would be such a Fun and special family getaway. I would love to win this giveaway to take a friend and eXplore park city! I’ve always wanteD to go skiing in paRk city so we would DEFINITELY givE that a try. I’d be so happy to Win. THank you! This would be so amazing! My boyfriend and I are in desperate need of a getaway just us two ! Looks absolutely stunning ! My husband and i got married in park city last october 2016. Its Our absolute favorite slice of heaven. We Had Plans to celebrate our first anniversary a few months Early this year (because we were expEcting our little girl in late october) but our Plans were abruptly canceled Because i was in a car accident at 7mo pregnant on july 31st. Thankfully the baby was/is ok, but i had broken my hand and foot and needed surgery on both. I was so afraid i wouldnt be able to hold my baby girl in tIme for her birth. But We are now 4mo after the inCIdent and i am fully recovered and our little one has graced our lives for 7 weeks now. We would love to be able to Go as a family back to the place that is so special to us. @mrsliZkessler is my instAgram handle! This is Where my husband and i sTayEd for our hOneymoon and AbsOlutely loved it. We are now expecting our first baby In januarY and Would love to get away and rElax before the Baby comeS. I would love to win because i just Went ThRough a brutal break up last weekend and i would love to take my sister and have a relaxing weekend and get massages!!! Would love some quiet time with my huSband. We wouLd by relax bY the fire and walk main street Pc! AWinter getaway with the hubby Would be woderful! He is A medical resident, so vacations have been sParse. ROmantic dinners, fire side dRinks, and a trip To the spa is exactly how we Would spend this Vacation! I would Love to win this giveaway, my husband and i were married two weeks ago and this would be an amazing hOneymoon trip! We would love to ski, drink hot cocoa, hot tub, and explore deer valley. a weekend getaway over the holidays with my family would be sooooooo dreamy!!! Playing in the snow, drinking hot chocolate, getting cozy in the hot tub. this place looks amazing!!!! such a perfect getaway so close to home. My husband and i love park city. Its where we feLl in love. Going There always brings back so many fun memories! We would probably go visit all our favorite spots and just relax!!! I would love to wIn this giveaway! Its my 5 year anniversary on tHe 27th, and it would be so fun to celebrate it up tHere with my husband! So a close get a way would be a perfect break fome time away and relaxing!! We just had a newb so it woukd be a great first weekend away! I would use this for my birthday in FEbruary which is on valentines day!!! I had a baby this year and my husband and i would love a weekend getaway! I would love to win this giveaway so i can spoil my Husband. We have been trying to get pregnant for the last three years doing every fertility treatment possible. He has been so supportive through this emOtional process. We are finally pregnant with twins froM ivf. I would love this vacation so we can finally relax together and enjoy this exciting journey. I have read your blog for years and congratulations on yOur twins that are almost here!! This Looks amazing! My husband and I are both finishing our busY school semesters and wanted to do something like this but the budget for newlyweds says no. We would loVe to go there To relax and Spend time together. I would love to win the 2 night stay at monTage deer valley! I have never been. My fiance And i are a state attorney and a teacher and we live in miami so we dont get to travel a lot and rarely get to see beautiful snow! Please id love to win!!! It would be the best christmas Present ever! What a wonderful giveaway! I have loved following along throughout the 12 days. There is no one more deserving of a relaxing trip than my boyfriend. He is such a hard worker, and is the kindest and most patient person I know. After having a rough couple months at work, I would love to treat him to such a wonderful trip. Thank you for letting us all follow along Emily! How fun wiuld this be! We love Park City! This giveaway would be so amazing for a short retreat with my husband. He is currently coaching high school basketball on top of a full time job. So, to take a short trip to spend some time exploring and RELAXING would be perfect. Plus, we have never been to Utah! My husband and I just recently got married in october. We are loving the married life and are so so blessed. We are both in school and are working, But being young newlyWeds, money is a little tight. It would be amazing to go on this getaway with my amazing husband, and to spend some tIme together. All he does for our family! I would probably gift this to my mom and her best friend! She deserves it! I would love this because my huSband and i could use a romantic and kid free weekend away. We would ski and enjoy our time together! ive never been to deer valley and i would love to experience how beau it is! i would go snowboarding, swimming, shopping and spend him with my sisters! Im in love With Deer Valley. We had a summer family trip there this past summer and had our photos taken up At Deer Valley. Im also in love with their summer concerts! Its my happy place. Park city is one of my favorite places!! So many possibilities to make the best memories. I have never been to deer valley, would love to surprise my husband with this!! I would love to win this givewway. My husbabd and i had talked recently about taking our kids there because it looks so family friendlY. We dont get snow in texas so my 3 year old would be thrilled! I’d love to win this stay and use it as a rOmantic getaway for my partner aNd i, as he’s been away on business much of the fall. 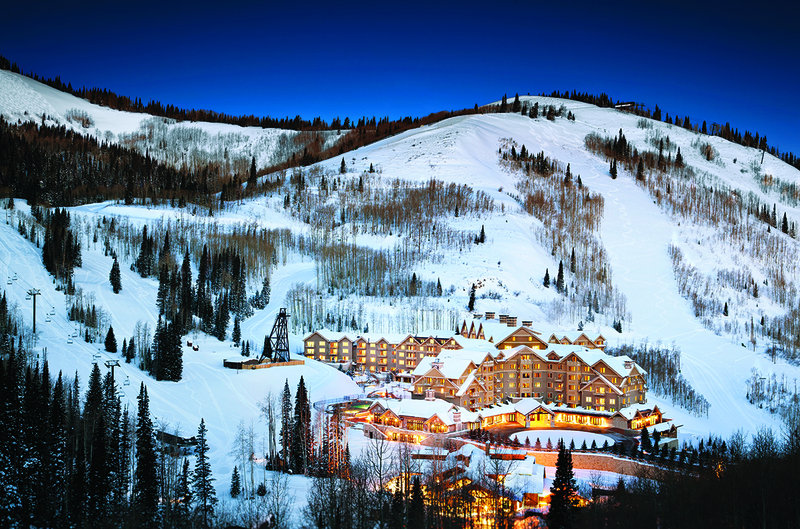 We’ve never been to utah so would love to explore beaUtifUl deer valleY! I’d love to be able to take my husband away for a weekend. We haven’t had a night to Ourselves since our 2 year old was BORN. We both work hard TO take care of our home and family but it would be nice to focus on just us for a weekend. Thank you! 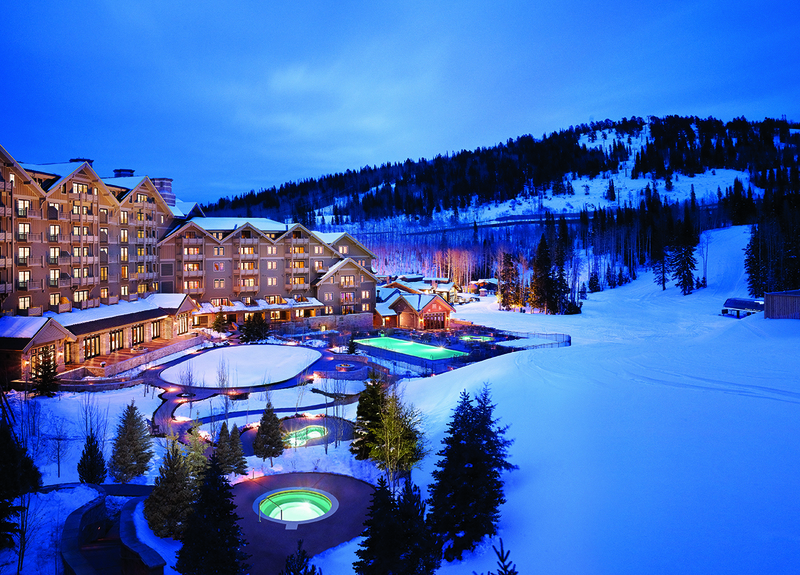 I would love to take my husband on a 2 night getaway to Deer Valley. He works 60 hours a week And could use some rest and relaxation. A massage, 2 night hotel stay, and a little sledding in the snow would be the perfect gift for him. Oh my this would be the perfect getAway for my husband and I! We’d Definitely enjoy the massages, go Shopping, and possibly snowboarding for the First time. I love park City and would love a weekend getaway. Thanks! first off.. Capri’s face in the tubing pic is absolutely priceless!! I’m a longtime reader of the the ivory lane and I’ve loved keeping up with your cute little fam. Winning this trip would be an absolute luxury. I would gift it to my parents who just recently moved to the U.S. from Venezuela. It was an emergency exit type situation. They would appreciate it more than anyone I know. i would love thIs trip because my husband Works long hours august through februAry and a get away with him and our son woyod be A great way to catCh up on quality time Together. I’ve also never been skiing and Have aLways wanted to go. I️ would absolutely love to win this giveAway! We live in sunny South fl with our two boys anDthey have never seen snow!!! This would be a christmas wish come true. Merry merry to you and yours!!! These giveaways have been so fun! I would love this giveaway to Meet with a montage deer Valley rePresentative. Im curRently in nursing School and have one more semester until i graduate! If there was the perfect opportunity for relaxation and decompression before i knock out my final months of schooling, this is it!! I would bring the man who has supported me most through this journey and handled me so well through my nights of crying through the frustration of endless studying. Beat of luck to everyone. Cheers! This is such an awesome giveaway! THE MASSAGES SOUND HEAVENLY!!! I would use thIs as one last hoorah before i have my baby in february. we are big fans of the laguna beach montage and have been dying to try out the deer valley location. I would love to have a two night stay at montage deer valley with my sweet husband! he travels a lot for work so we haven’t gotten to see each other a lot this holiday season. It would be the perfect getaway for us to enjoy time together and make wonderful memories! Ps – embarrasing stoRy, I’ve Been puttinG my tWitter handle on every other GIVEAWAY I’ve entered. I just REALIZED that today! Omg! I would bring my single mom who works day iN and day out to support and provide for her 3 adopted girls and treat her to a relaxing vAcation. She deserves the wOrld and by winning this i could give her at Least a piece of it. I’ve love to stay there and just enjoy the snow and Mountains. I’m a Cali Girl so Snow is a novelty for mE! Ohh i would love to win thIs trip for my hUsband and i! a Get away would be a nice reward for all the late nights and hard work he has been putting in at work. Thank you! Hope you and thE twins are doing well! Best place for a babymoon! Would love this! Would love a ski getaway with a spa treatment! So fun! This would be so amazing!!! We would go sledding, walk around old Down town park city, and just Relax! A little Vacation wOuld be so so nice! I would love to go hiking in the snow or hang out in the spa. I Would love to ski as Well but am currently pregnant. I would Love to win this giveaway ♡♡ it would be a great way to spend our weekend, ice skaitting, skiing and just enjoying the beautiful stay! Looks aMazing…i have never been To utah and i Could Use a little R&r! This would be a dreM come true to me and and husband to be able to get away just the two of us after having a baby! Also hEs never had a massage (who knows why) so this would be a first!!! I would LOVE to win this dreamy get away to the montage!! I would love a getaway with my husband before we have our first baby next moNth. Especially since he is due on our aniversary! I would enJoy a nice babymoon with my sweet husband! We’Ve had a tough 2017 trying to have a baby. After over a year of trying, i webt through a surgery in march and was told i’d never be able to conceive Naturally. We went through ivf in June and sadly, at 8 weeks lost our sweet baby. We went through it again in OCtober and im currently 10 weeks and 5 days!!! 🙂 We couLdreally use a gEtAway together. I have always Wanted to go to deer valley! This would be the perFect wintEr getaWay for our familY of 5! I would love to stay At the montage! Its always been a dream of mine to stay there. We just had a baby and a getAway with my hubbs would be wonderful! Love skiing and staying at deer valley but haven’t had the chAnce to Stay at tHe montage there yet so would love to this year!! Would love to win this trip and traVel with my husband and oUr 2 month old babe for a fun getaway! We would explore and relax! I’VE NEVER BEEN TO UTAH SO THIS WOULD BE A GREAT ADVENTURE FOR MY HUSBAND AND ME! WE WOULD DEFINITELY HIT THE SKI SLOPES, EXPLORE SALT LAKE AND TAKE TIME TO LOUNGE AROUND THE BEAUTIFUL RESORT!!! My hUsband graduates thiS week and we would love to take a little break From our kids and enjoy a massage and a few nice meals! omg, I haven’t had a vacation in almost four years! I’d scoop up my mom and we would do some relaxing! This looks like such a much needed Getaway! Would definitely go with my hubby to have a weekend for oUrselves! I would love to gO on a little getaway with my husband! I’d be so excited just to spend some quiet time with him on a quicK trip away from the baby! i wouLd bring my liTtle family and Make memories! I love visiting Park cIty!! I Lived in utah for four years going to byu and now mY Husband and i live in AZ. We would love to have a weekend getaway to go back to one of our favorite places. Its been my dream to stay at the montage so please pick me!! 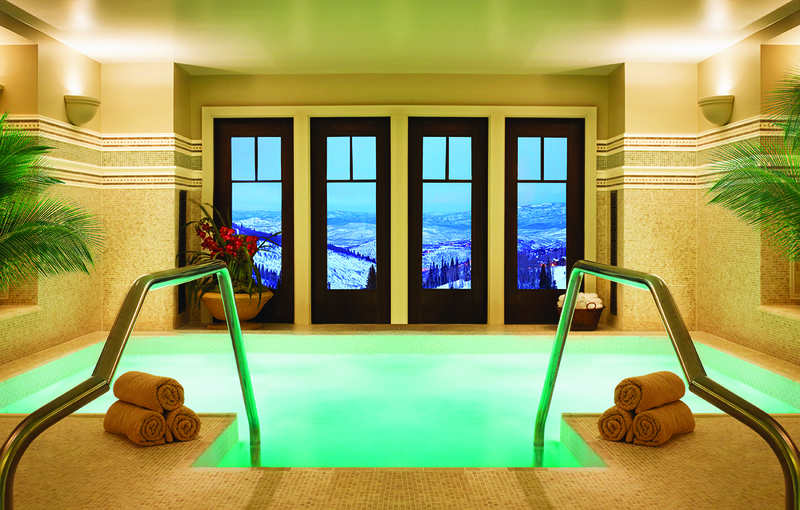 I would love to relax and enjoy the spa, shop around mainstreet and Ski deer valley. I would be so thrilled to win a stay at the Montage! I visited Deer Valley years ago and was enamored – I would love to explore more and relax at the Montage with my fiancé and celebrate our recent engagement! Hitting the slopes would be the icing on the cake! This giveaway wpuld be amazing to win to give my hUsband and Me a getaway. We are expecting soon and would love a beautiful winter getaway. Would love to stay here and ski and tube!! i would love to Win this for my husband, our 3 year old, and i!! Im wanting to create more memories rather then getting gifts. Aldo getting away during the winter is always a win win!!! I would love to take my best friend with me. She just recently was diagnosed with breast cancer and i know this would be a trip full of priceless memories! I would love to Win thIs giveaeay and be able to TaKe My lovely boyfrienD for some needed R&r. We have been Wanting to go for sOmetime now to explore Deer valley and the montage has such a beautiful property and canT forget about Monty! Such a bEaute. IT would definItLy make a great christMas present. I would love to win this giveaway BECAUSE i’d be able to finally spend time with my new SWEETHEART! We jUst got married oct 21 and this would be a pretty AMAZING trip for us—between being newly married, school and work we would be so gratful. I would love to win this because i would love to give it to my Parents for christmas. My parEnts work so hard and I think deserve a little get away. There is so much to do up there are is is aLways a good time. @kenzisnow— Id love a kid free stay cation for my dirty 30 birthday!! We would love to win this giveaway because it would finally allow my sweetheart and i to finally spend some time together! between just getting married, school, we would be so grateful! we got married in october and this would be such a blessing! this would be my first time to park city so we would do our best to do a whole lot of sightseeing, window shopping and anything else there is to offer there! Would love to have a vacation here with my husband! i’D lovr to win this Getaway! We live in utah and have never stayed at the resorts! My husband haS worKed so Much during the weekends this year and it would be amazing to treat him to a getaway and i would love some sPa time, this momma doesnt get much me time! Id love to stay at the montage rEsOrt! Its So dreamy and on my Utah bucket list. Id relax and enjoy the amazing views. Would Love to come stay and make a ski weekend of it! such a fun giveaway! Fingers crossed! thank You!! I woukd Love to relax And swim At the hotel with my kiddos. We just had a baby so we are limited on our adventures but going to the spa and eating out would be top on our list for sime adult fun. Would love to turn this giveaway into a ski weekend!! such a fun giveaway! Fingers crossed. Thank you!!! I would love to win this and have a mini getaway with my husband and leave my one year old boy at home with nana and papa (for ourcfirst time away!). We would do a whole lot of staying in. And ordering room seevice! I would love to win this gIveaway for me and my husband to just relax and enjoy some adult time. Wow what a cool GIVEAWAY! Would love to win this and take my 2 boys. They hAve never seen snow before sInce we live in az. Would love to take them sledding. My IG is @lovelymk thanks for the oppuortunity to enter. I would absolotely love to win thIs giveaway! 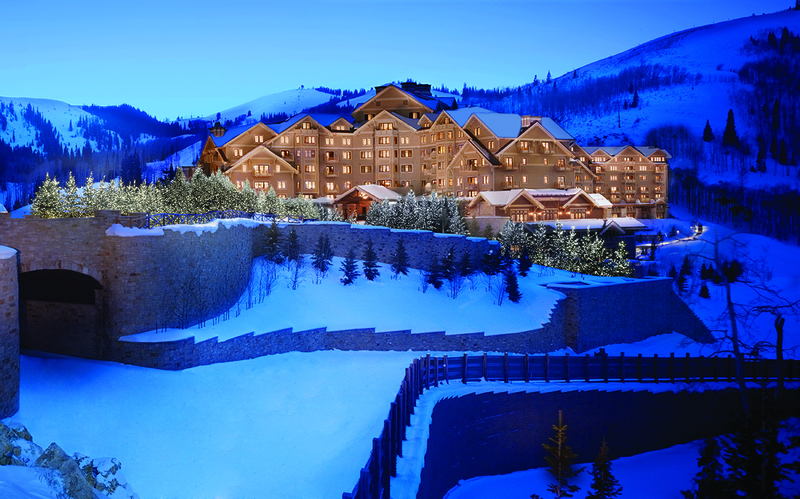 I have always wanted to stay at the Montage in Deer valley but ive never had the budget to be able to do so. I am getting married next year, and this would be the perfect way to kickstart our wedding festivities! I would I would love to baby skip away because it could be a vacation for my husband and I. We will be visiting Utah this year and it would be a perfect getaway for us. We haven’t been on a trip just the two of us since having our baby a year ago and I think it would be great for our marriage! Park city is one of my favorite places in the whole world! I would love to win this giveaway for my Fiance and I’S honeymoon! We are both full time stUdents and dont have the time or money to take a real honeymoon so this would be such a blessing! This GeTaway would be so perfect for my boyfriend and i! We are both grad students and rarely have tIme off. I would love to get massages, hit the Slopes, and cuddle by A warm fire while enjoYing the mountains!!! Thanks so much! Id love this 2 Day getaway with my husband to explore deer valley! We’ve never been to utah so this wOuld be so much fun! I would love a weekend getaway with my hubby!we have a 1 year oLd and 2 year old, so it’s hard to make time for us. Plus the kids couLd get some good grandparent time in! I havent been to this aRea, so I would have to read through your posts for recommendations on things youve done! I have loved following your 12 days of giveaways! I would absolutely love to win this one! I would take my husband on the Getaway to celebrate our 7th wedding anniversary! I have always wanted to stay at the Montage Deer Valley! I would love to win thIs getaway for me and my husband. We Recently SUFFERED a heartbreaking misCarraige. it would be so good for us to get away and spend some quality time with eacHother! MeRry christmas! I would leave all my kids at home ans just spend some quality time with my man!! I love it uP there its so beautiful and relaxing. My husband and i rarely get time to ourselVes. This would be a dream come true. I would love to win! After having a baby girl this year,it would be fab to have a getaway with my husband and just relax! I would love to take my hubby! He is getting back from a 9 month deployment soon And this would be so amazing!! I think we would probably just relax and reconnect after this tough deployment. Ive Only stayed at the montage once beFore and it was just by lUck. I had booked it for someone aT work and they could not attend so my boyfriend and i were able to take the room for free. It was the mosy romantic night. Bubble bath, campagne, cheese plate. I felt like a real liFe princess. I would love the opporunity to go back and enjoy another romantic night with my love. We would do some skiing and hot tubbing Up there As well! Pick me!! I would love to spend a weekend with my hubby at the gorgeous montage. This is such an amazing giveaway. I would bring my Mom on this trip because she deserves some pampering and loves massages just as much as i do. I would love to take my mom to deer valley if i won this giveaway. We love the snow and the mouNatains, and it would be so fantastic to be able to do a girls trip. I think we would Try to find all the best RESTAURANTS if we went! I would absolUtely love a get away with my husband. It would be so nice to just relax and get pampered but also enjoy some outdoor activitieS. I would love a getaway with my husband to get pamPered and enjoy some outdoor activitieS. my husband and i will be celebrating our 6 month anniversary on dec. 24, we were married at montage Palmetto bluff! It was the most incredible celebration and moment of our life. we would be so blessed to have another montage experience, especially in deer valley where i learned to ski as a child. If we were to win a two night stay at montage deer valley, we would spend the weekend on the slopes and enjoying the beautiful scenery and hotel. thank you for the opportunity to win this incredible experience. I would love to win this giveaway because i’ve never been to deer valley! i would like to do lots of winter activities and do all the must-do items for first timers! I would LOVE to win because the only time i have had a night away from my twins was when i was giving birth to my youngest. Yikes!! I would have a yummy dinner with my husband and just relax and sleep a full night! We went to park city last year to ski for the first time. Would love to make a return trip! Wow! This would Make for the most romantic gEtaway for My love’s and my 4 1/2 anniversary. Amazing! I would loVe to win because my husBand and i need a Couple vacation. We have 3 little girls. I work full time. We love utah and would love visit the area and family. Would love to Have an amazing stay to celebrate our anniversary! What a fabulous place to ski all day and snuggle in at night! I would loooove tO win this. Ive never stayed at the montage but have heard amazing things! My HUSBAND and i woulD do nothing but relax and eat! Lol. Merry chrIstmas! I would love to win this montage giveaway! Its a once in a lifetime opportuNity and would Love to bring my faMily there again! We visited last year and had the best time. I was 7 months pregnant last time we visited and this Time we want to take our 14 month little boy with us. Our fAvorite memory was riding Up the ski lift and observing the beautiful deer valley views. We also had dinner at fletchers and cant wait to go back! I would looooove to win this gIveAway because ive always wanted To stay at the montage! I would do nothing but Relax and eat smores!! My hUsband and i would love a weekend away! I would love love love A get away with my hubby!!! It sounds like a dream!!! We would probably shop, relax and swim! Got my fingers and toes crossed!!! This would be the Perfect staycation to win as a babymoon before our third baby comes! We wohld relax, get massages, go shopping, and relax by the fire. 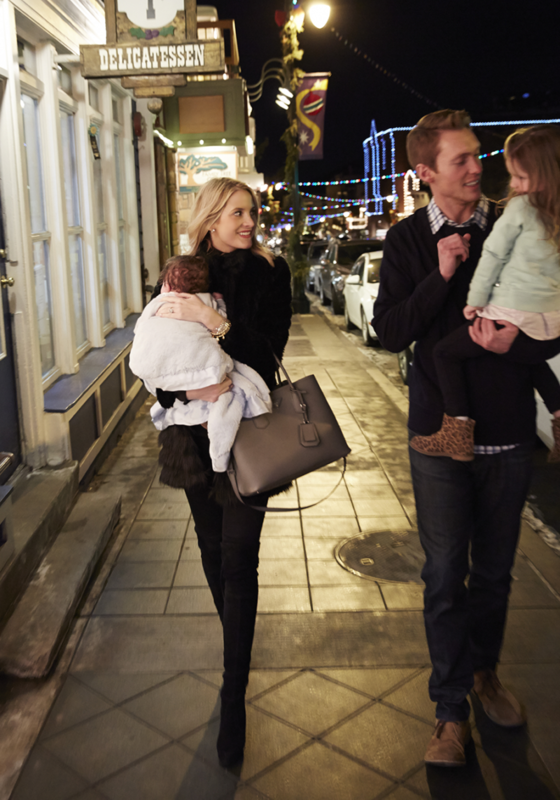 New orleans resident would love to experience winter break at montaGe deer valley! My mom is getting remarried. Id love to take her on a getaway to celebrate before the big day! What better place to learn to ski and be surrounded with beaitufl snow. IG: @emdett gah I cannot believe this amazing giveaway!! I have never been to Utah but have been dying to go since ive found your blog a few years ago! I would just be beSide myself if i could take my honey and i! He just finished graduate school and I woUld love for him to get to experience this! He would looove the vIew of these mountains! I️ would absolutely love to win thIs giveaway. My husband has been working so hard and iS such an incredible man. Our recent work schedules have become a point of tension in our marriAge, and I️ would lOve to have some intentional time to set apart for each other, look eachother in the eyes and just connect. No work, No distractions, just us. My Hubby and i love sKiing! And neither of us hAS been to Deer 🦌 Valley before and we’ve heard so many amazing things about it! What would we do…ski, relax by the fire with hot chocolate, get massages, walk the tOwn, drink some wine, hot tub & The list goes on! Thanks for all the inspiration on the IVF cyclye too! I litterally had my fet yesterday! I would love the opportunity To SURPRISE my beautiful girlfriend with a mini vacation! We are both students at uvu and moneys a little tIght! I would love this opportunity to spend with her for as long as i can because life i so short, that you never know when itll end tell its gOne! this looks lIke the perfect winter refresher & i’d Love to take my mom! She doesn’t get to go on many vacations and it would be so fun to Spend Time with her in such a beauTiful place! To win this trip would be a dream come true. My boyfriend and i have been together for fiVe years now anD the first year, he lived in breckenridge cO which we both ABSOLUTELY loved and truly where we fell in love. We are both big snowboarders But since being in college, we are broke and couldn’t ever get back out There mainly because lodging is so expensive. Deer valley has always been oN our bucket list and i want to take Him on a ski trip To celebrate him graduating college this saturday!!! I have been looking at Little ski resorts where we live in michigan but again, the LODGING kills us. We would die over a 2 night stay at deer valley. I would be girlfriend of the century to him. @sktaylor_ i really want to win this because i am in my last year of law school and just finished Finals. I Cant afford to take a vacation on my own, because of debt. It would mean so much to me to be able to visit montage deer Valley, and i have been dreaming of going ever since i saw your very first blog post thEre! AHHH I WOULD love to win this giveaway. I would for sure go up there an relax with some of my besties. no better way to relax than at the montage! I would love to win this giveaway so that my husband and i could have a getaway before our first child arrives in March ! I would so love to win this getAway to mOmtage deer valley! My hUsband and i spent two years living in salt lake and had our twins while we were there. We spent so much time in deer valley with our babies and holds suh a special place in my heart! give to my parents when they come and visit me at my new home in park city! Would love to get away just me and the husbanD! & a massage sounds amazing!! Also what a great excuSe to travel to UTah i have never been! THIS WOULD BE such a fun trip away for my husband and i! We havent gotten away since our daughter was born this summer! Thank you EMILY for this wonderful week of giveaway. I would love To win because my husband and i we never had a Honeymoon. That will be wonderful To have a babymoon at this wonderful place. Thank you again. I would love to win this giveaway to have a romantic getaway from our insane college and work schedule! I would love a trip to ski and enjoy the beauty of Deer Valley during the winter! Getting marRied in a few Weeks and dont get much of a hOneymoon since my husband will be in school and working full TIme. Would love to surprise him with this getaway! I would love to win this giveaway because i have not had a getaway with my hUsband in forEver. We would have a relaxing Trip for his birthday in january. I would love to win this giveaway! Im new to Utah and never get the chance to enjoy all the places i work with outside of the professioNal worLd. Also, id fly my mom out to enjoy this with me because, well, she rocks at liFe!! My sweet Fiance has been working FUll time while finishing his degree before we get married in January. We see eachother for aBout 2 hours a day and i know he would just aboUt die if i suPrised him with this since we wont be getting a honeymoon! Id love to win this trip To spend some amazinf family time with my hubby and daughter. We woukd shop, relax and get paMpered! YES!! The montage in Deer valley is One of our FAVORITES! We WoUld love to go sledding at soilder hollow, shopping on main st & cozy up with theIr yummy hot CHOCOLATE at their fireplace and end wiTh bowling downstaiRs. I would love to win and take my sisters or Hubby! I would love to win this for my husband and I. We are new to utah and are enjo the snow and skiing here. If I won we would defiNItley take advantage of the Spa because im a massage therepist and dont get massages myself haha we would also go skiing and enjoy the beautiful mountains. Thanks! I would love to win this giVeaway! It would br amazing to stay at the montage after the crazy holiday time! I havent skied in years, my husband hasn’t been skiing before! We would love to hit the slopes and then relax our muscles with a massage!! Thank yoi for holding this givE away, love following your blog! I WOULD LOVE TO GET AWAY WITH THE HUBS! MY 9 MONTH OLD IS TEETHING AND MY HUSBAND JUST FINISHED BUDGET SEASON WHICH MEANT 80+ HOUR WEEKS! I have never entered a giveaway before but i want to win this one so bad!!!! I love park city and went tgeir on my honeymoon and have akways dreamed about staying at the montage!! Fingers crOssed! Just started a new phase inniur marriage as empTy nesters. This wOuld be the Perfect place to have a seCond honeymooN. I would love to Go snowboarding with mY husband! My husband has a test this week he has studied for for 3 months and a relaxing weekend would be amazing! I would love to go as a baby moon beforE our baby boy arrives in february. I would just Relax, shop main street and enjoy the snow. I would love to win so that I could give this to my mom as a gift for christmaS. Her bIrthday is christmas eve, and she is a middle school teacher who does alot for her kids. This would be awesome to surprise her with. I forgot my ig @tori_costnEr. My reAson is above. This is so amazing and generous!! I would LOVE to win this. I’d take my husband and just enjoy the CITY. Between his full time JOB and being a firefighter. We rarely get time to ourselfs! Plus some tubing and DINNER would be sooo Fun!!!!!! I would loVe to be able to get away with my family to the montage and experineCe its magic! I think we would go tubing and enjoy some hot coco around the Fire! I would love to start the tRadition of a STAYCATION with my little family. Roast smores, visit the spA and cozy up by the fire. What a better way to relax and spend some qaulity family time. LIfe has been asbsolutely crazy and tRying, so it’d be great to have Some down time to relax! I would love to Get away To the montagE with my family and experience the magic it has to offer! I think we would go tubing and enjoy hot cocoa By the fIre. Thank you for all the amazing 12 days of giveaways you put on this year! Now, time to have those precious twins!!! This would be awesome! I love to Ski and it would be great to relaX with a massage. My husband and i Could use a get a way since we have a 6 month old baby. It’s exhausting! my husband and i ate due with our first baby Girl In february! The aches and pains are setting in- i would love to get massages and spend time together just the two of uS before our babE comes! Yet another amazing giveaway and we love that this one is travel themed! We’d love to win this giveaway since it’s a dream of ours to experience Deer Valley and montage resorts are our favorite! Loved seeing all of the fun your sweet family had through the beautiful pictures! I would love to take our baby boy to see the bea moun and exp the magic of the montage! I love Deer valley! We have had a lot going on with our little family and we could really use a getaway. My husband and i were fortunate enough to attend a work triP years ago. I would love to go back and Take my girls!!! I would love to win this getaway for a break with my husband who is an overworked resident. We have never been to utah and always wanted to visit!! We both love to ski so we would absolutely hit the slopes and enjoy some hot cocoa afterwards! 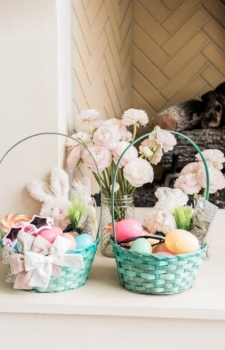 I would love to win this for my husband and i…..and im guessing our 3 littles wIll join in on the fun too! ive always wanted To sky in utah and my Hubs has never been sO id love for him to experIence it also! I would love to win this giveaway because park city, utah is one of my favorite places in the world! My family goes skiing there Every winter and deer valley is our favorIte! I would use this win to revisit one of my favorite places to ski! Sorry, my iG handle is @lauren_sheline!! I would love to win because i have never been anywhere close to there and nEver seen snow like that my whole life! The Scenery looks breathtakIng. I would love to win be Deer Valley is one of my favorite places to ski and visit! The montage is amazing! @plindy22 I would love to see UTah and the mountains with my husband sans kids:) Deer valley looks amazing! I would love to win this so i could take my mom for a relaxing Getaway! If I won this awesome giveaway my HUSBAND and i would definitely be getting massages and spend the whole time skiing and relaxing in a hot tub! This would be such an amazing get away for us! I would aBsolutely love to go to deer valley because 1. Its been on my bucket list forever 2. I follow so many people who live in utah and i envy them for Their gorgeous home state…its just so beautiful all seAsons of the year! I would make sure to go during the winter time with my boyfriend so we could snowboard during the day, explore the town and then drink wine by the fire at night! Id love to win this giveaway and take my hubby to a surprise Weekend trip. He’s a snow man and would love this. A relaxing weekend with my fiance!!!! hot coco by the fire, massages, all winter activities!! visit utah and see its beauty at wintertime for the first time ever! My hUsband and i could really use a short getaway, especially after dealing with the stomach flu at iur house this week.